“No boat shall enter Butterley Tunnel at the east end except between the hours of five and six in the morning, one and two in the afternoon, and nine and ten at night, and no boat shall enter the west end thereof, except between the hours of one and two in the morning, nine and ten in the forenoon, and five and six at night, and every boat shall make its passage through the same with all possible dispatch and on no account exceed three hours after such entry. And if any person or persons having the care of any boat, shall offend in any of the particular aforesaid, he or they shall forfeit for every such offence: forty shillings and shall also turn back on meeting another boat in the said tunnel” (Extract from the Rules, Byelaws and Orders made by the Cromford Canal Company: 30th May 1804). Butterley Tunnel was opened in 1794 and it runs for approximately one and three quarters of a mile, along the disused Cromford Canal. 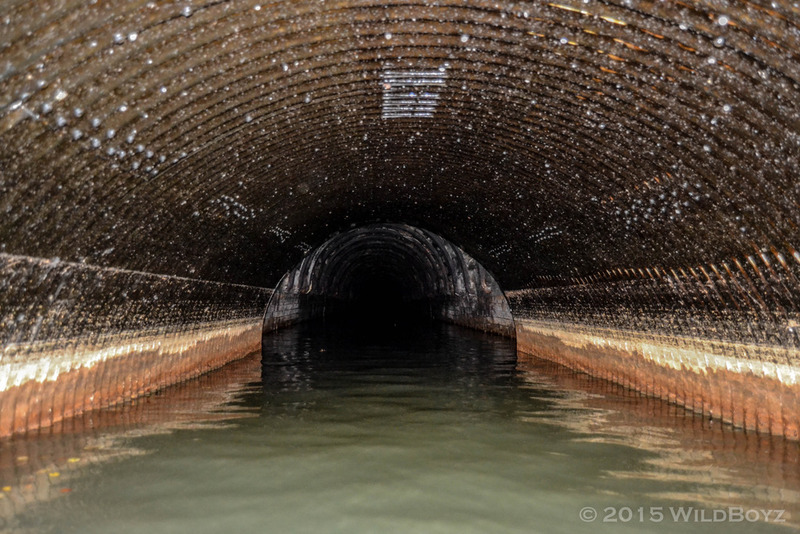 Although tools were much more basic in the late 1700s, than what we have available today, upon completion the tunnel was measured to be 2,966 yards (2712 metres) long, 9 foot (2.7 metres) wide at water level and 8 foot (2.4 metres) high from the water to soffit; although this depended on the water level after heavy rain. 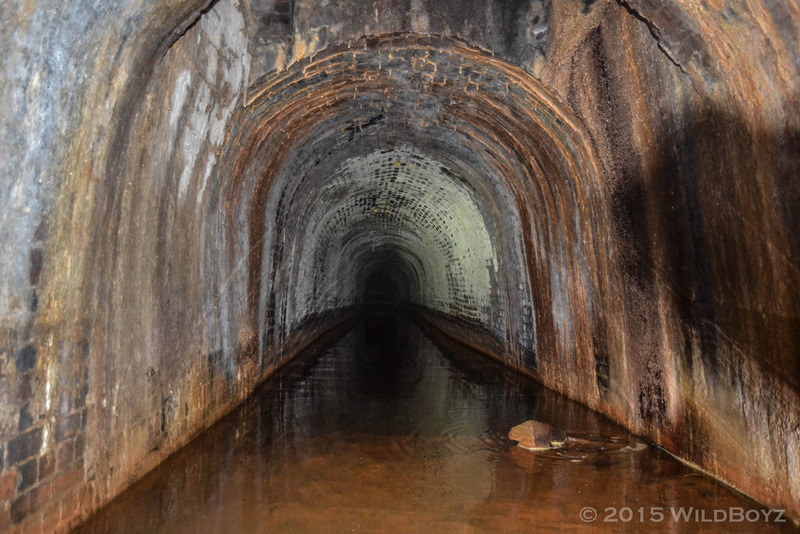 Much of the water flows from the 50 acre reservoir situated on the hill above the west side of the tunnel. There is no tow path inside Butterley Tunnel, so all narrow boats had to be powered through using the muscle power of the narrow boat’s crew. This is a process commonly known as ‘legging’. Consequently, a number of signs were displayed at either end of the tunnel, emphasising the use of the tunnel in only one direction at any one time. Any crew found to be disobeying these rules would receive a hefty fine. 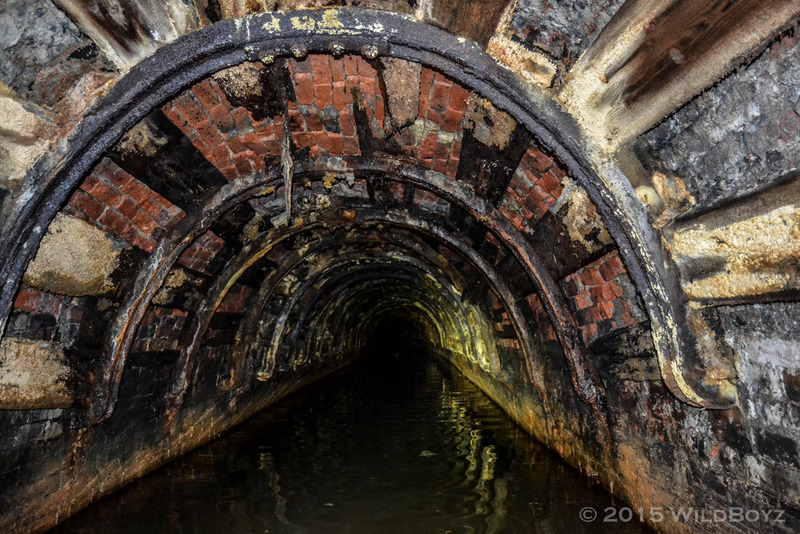 In 1889, subsidence caused the tunnel to close for four years. The tunnel was eventually reopened after repairs in 1893, however, the long period of closure resulted in the loss of many customers to rapidly expanding railway companies. 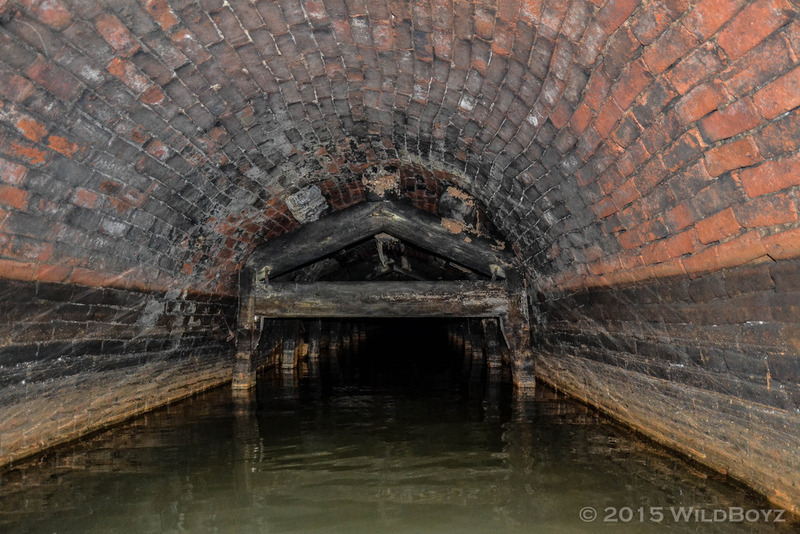 A second collapse, in 1900, due to mining related subsidence, caused partial damage and effectively split the tunnel into two sections, making it impassable to narrow boats and their crews. Despite the efforts of Rudolph de Sails, a director of a prominent canal freight company, who conducted a government funded survey of the tunnel, it remained abandoned because the 1904 report was not favourable. A third collapse in June 1907, and a subsequent report by Sir William Matthews, ended all hopes of ever repairing and reopening the tunnel. It was declared beyond economical repair in 1909. 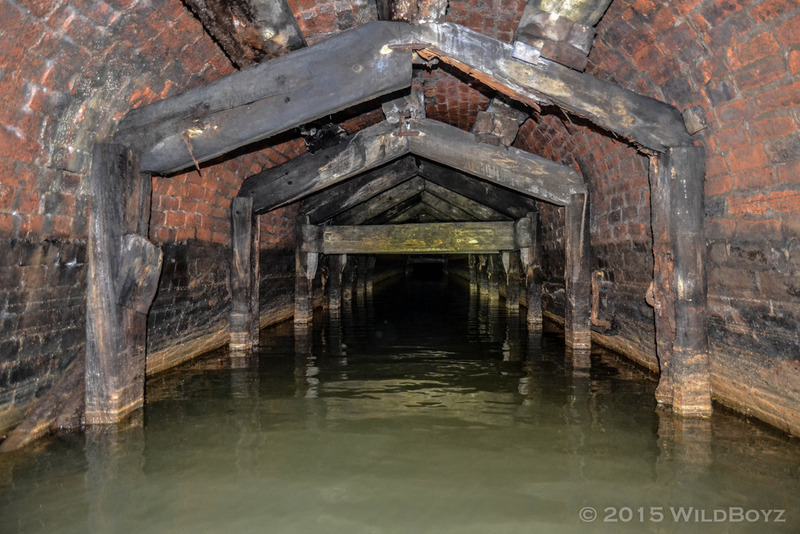 The canal continued to operate without the tunnel up until 1944, until commercial traffic finally ceased. The war is likely to have stopped all final activity. Since its closure, Butterley Tunnel has still been extended twice, to allow the construction of a railway and the A38 road. 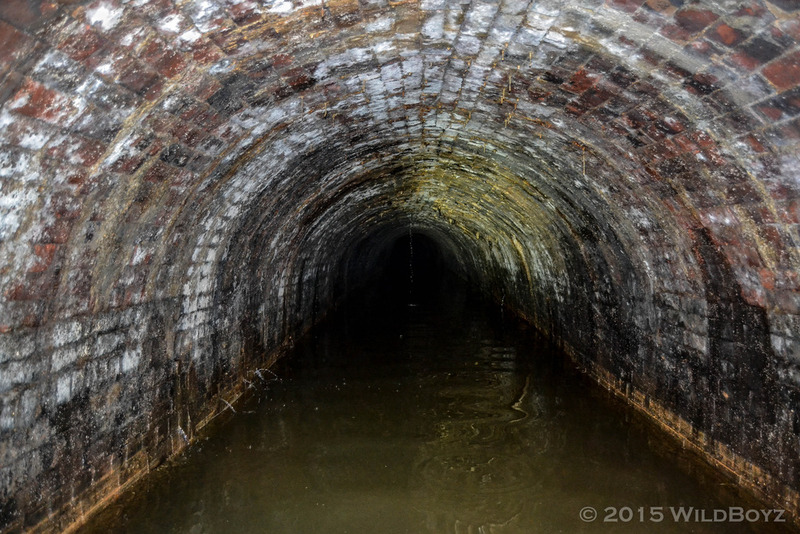 One of the more distinguishable changes is the culverted section of the western portal which runs for 18 metres. But, in 2013 it was announced that much of the canal and the tunnel were now exceptional monuments and work by the ‘Friends of the Cromford Canal’ to preserve them has continued. 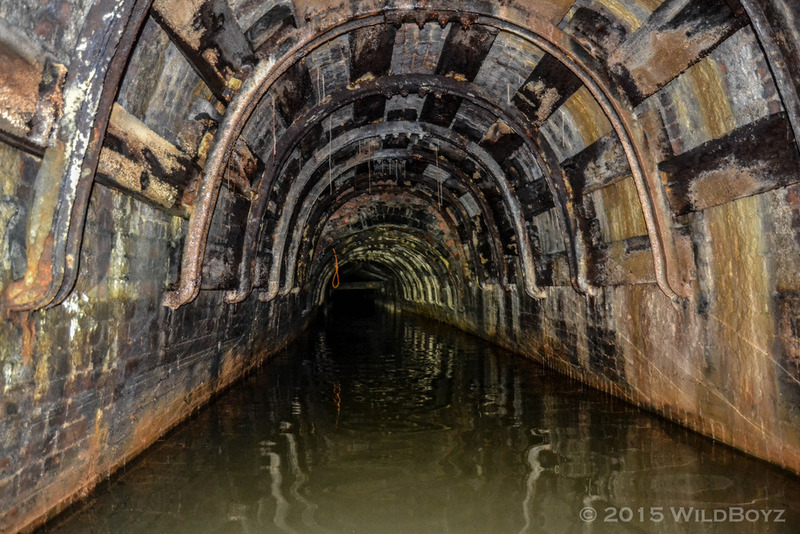 No more changes to the tunnel, other than repair or restorative work, is now permitted. The Friends of the Cromford Canal are a group of volunteers who aim to fully restore Butterley Tunnel and the Cromford Canal. 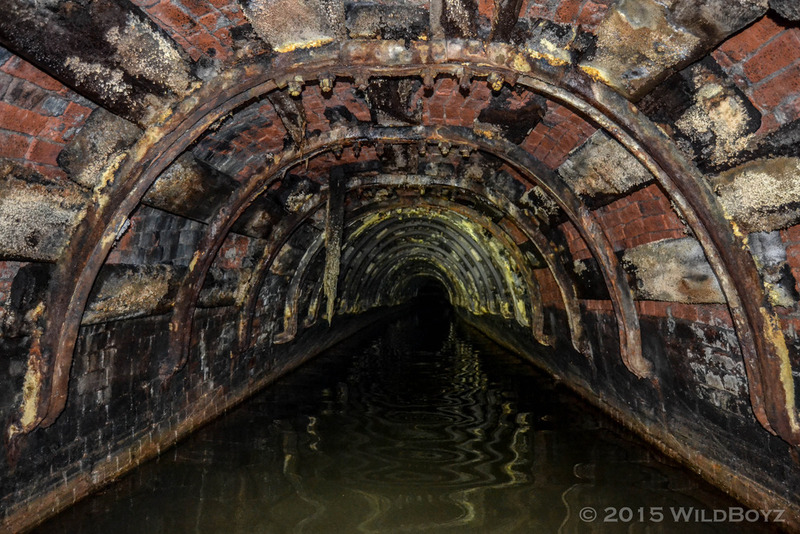 A few years ago they offered horse drawn visits into the only navigable section of the tunnel to raise money, however it is uncertain whether or not they still continue to do this given the poor integrity of the structure. We left Leeds and the Dark Arches behind just as it was getting dark. 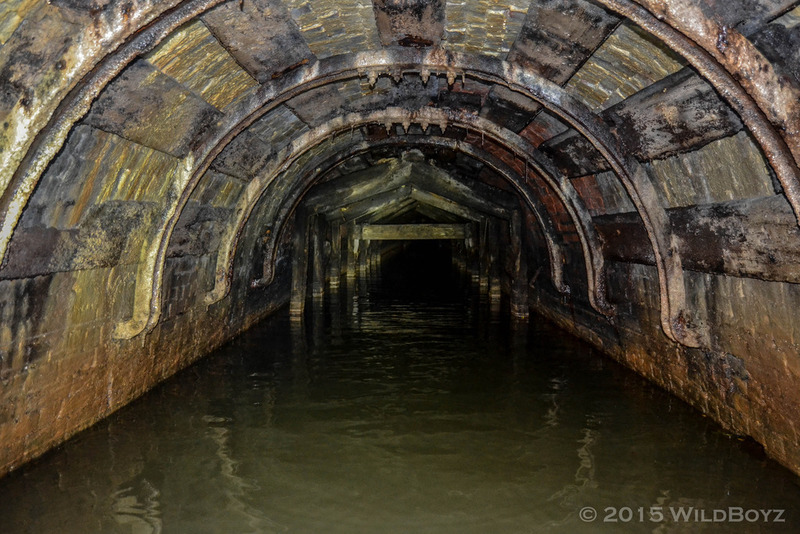 Next on our agenda was something else that lies underground, but this time the dinghy was required! 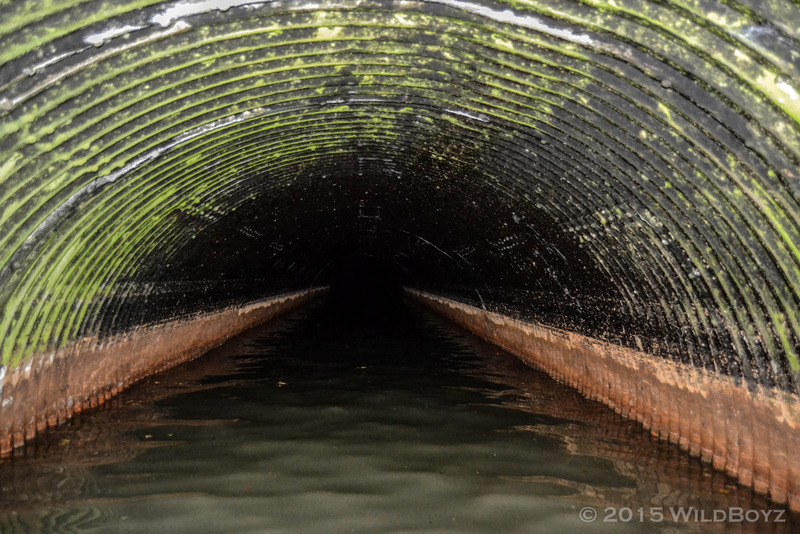 We’ve attempted Butterley once before and ended up paddling our way down the abandoned Cromford Canal; which was entertaining in itself, but a little disappointing since we didn’t manage to reach the tunnel entrance because of extremely overgrown and dry sections. 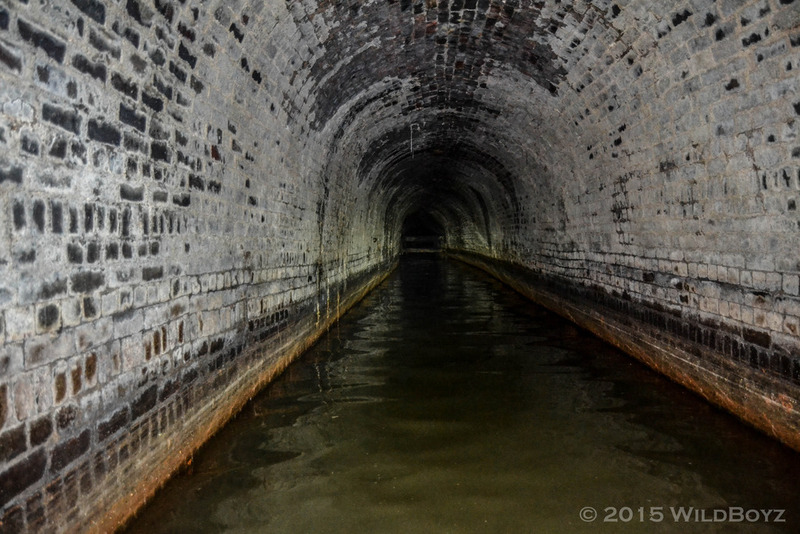 This time, we avoided a leisurely cruise down the waterway and arrived directly at the tunnel entrance itself; wasting no time putting waders on and inflating our trusty vessel. 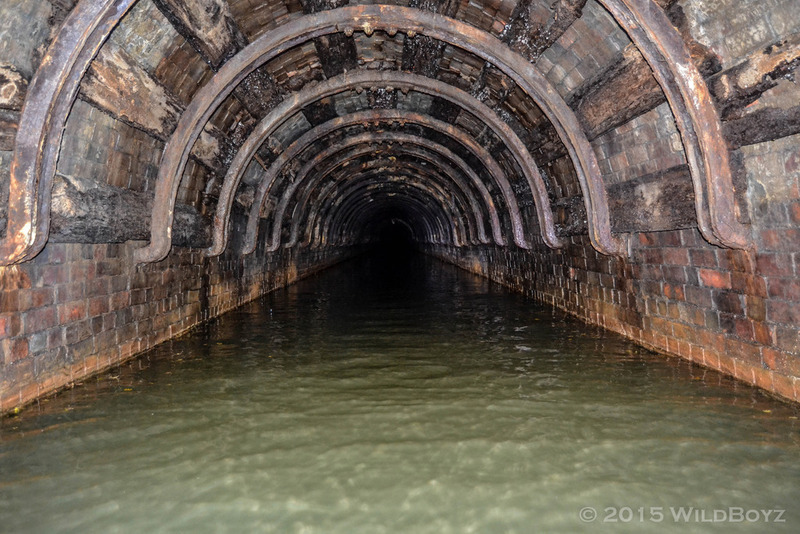 We had assumed that some sections might be dry, because the tunnel is abandoned after all, yet the heavy rains in recent weeks must have raised the water level quite considerably. 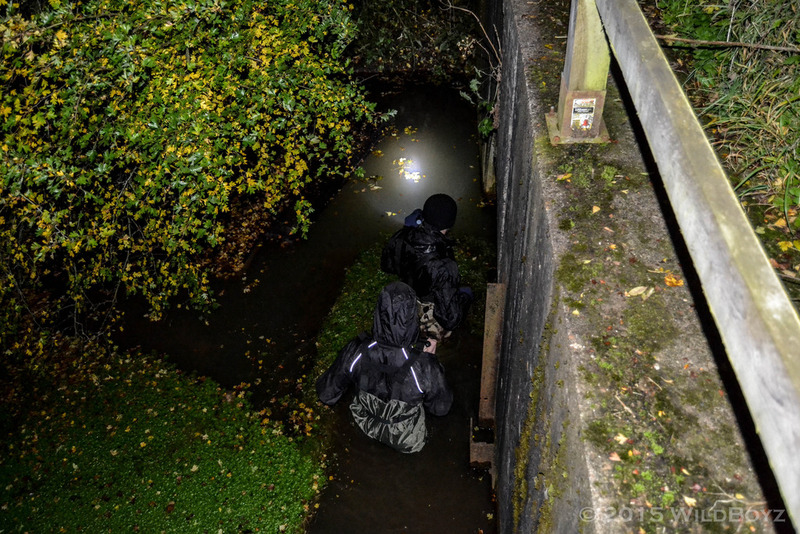 We didn’t spot any dry land while inside and only had to leave the dinghy once to bypass a pile of rubble and silt which had fallen from one of the air shafts directly above us. Later, by the time we reached some of the supports a fair distance into the tunnel, the water level was too high to get the dinghy beneath and we didn’t fancy climbing over the wooden support beams because they are no longer made of wood; they’re more sponge than anything else. A final attempt to ditch the dinghy and wade our way further into the tunnel also failed on account of the depth of the water. 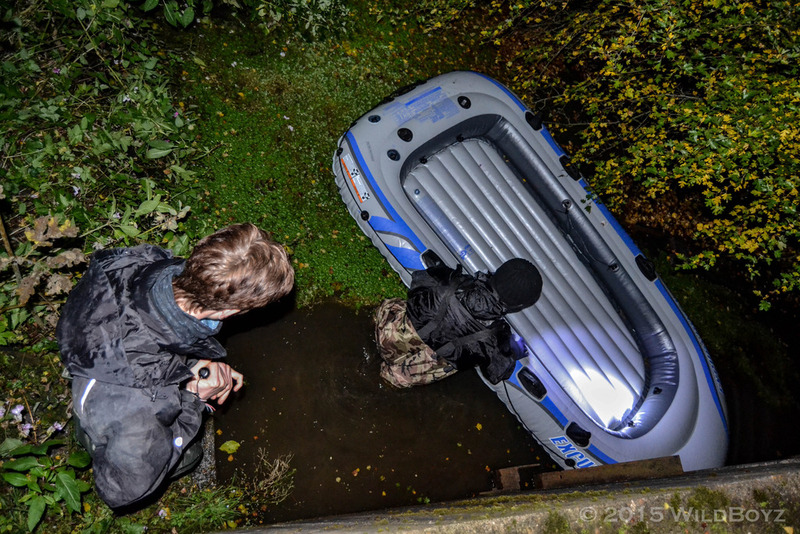 Climbing out of the dinghy is easy enough, but climbing back inside is altogether a different task. As you try to haul yourself back inside, without being able to touch the ground beneath the water, you get sucked under the boat. After a few failed attempts to find the ground, and one breeched pair of waders, we decided to head back to the cars and tents for a bit of rest before the next day’s activities. 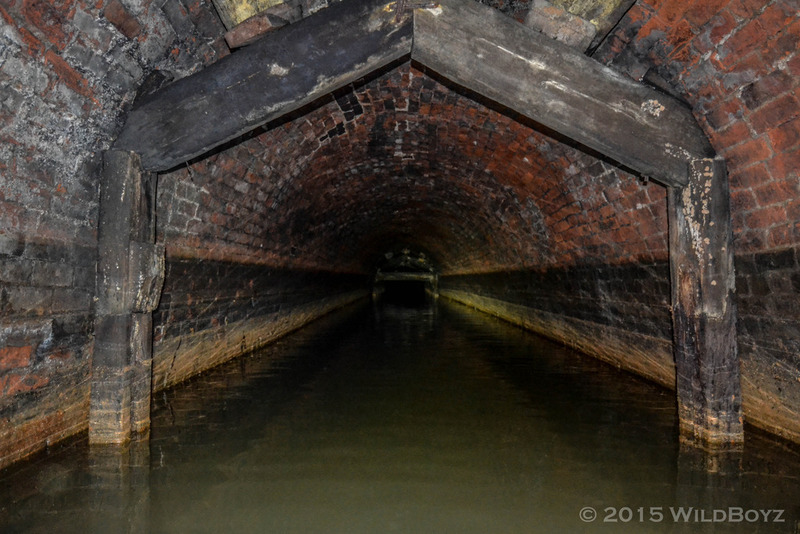 On a final note, I would warn anyone else thinking of visiting Butterley Tunnel that it is a bit worse for wear these days, and we witnessed several sections where the wooden support beams have disintegrated from the ceiling. After seeing images of reports from years ago, a number of the support beams which used to lie at floor level have also disappeared. The brickwork is a bit sketchy too in certain places, where new cracks have formed and subsidence has caused a number of bulges to appear. 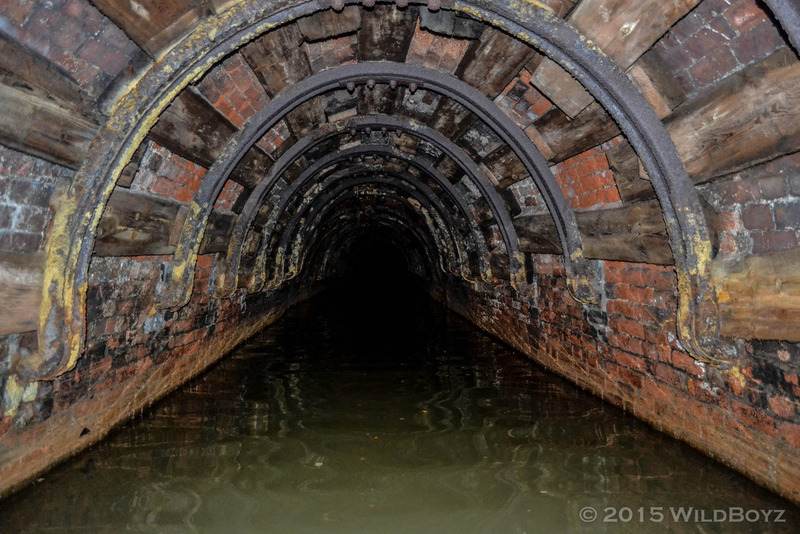 It was certainly a little disconcerting as we paddled on, knowing that the tunnel has collapsed in on itself before. Explored with Ford Mayhem, Meek-Kune-Do, Rizla Rider and Husky. 19: Success! And Fresh Air. Very nicely done matey .. Loving the old construction /remediation work very photogenic. 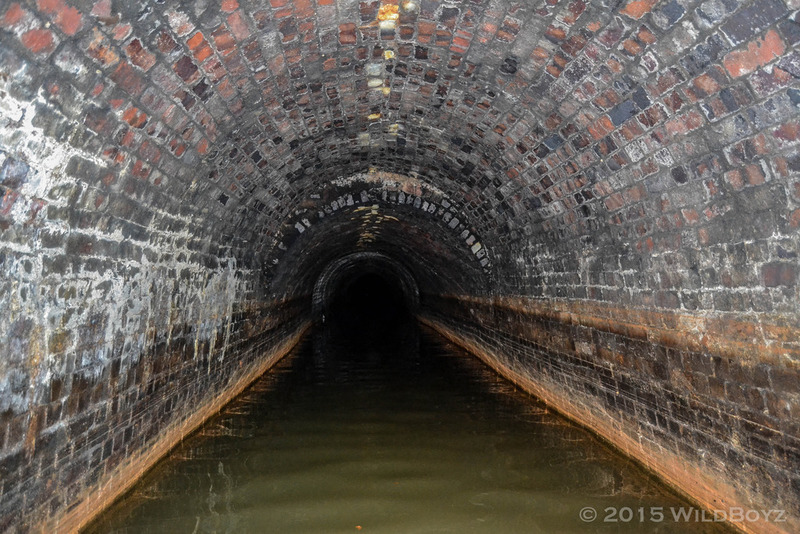 Finally a Canal.Tunnel I could do without getting sacked ! 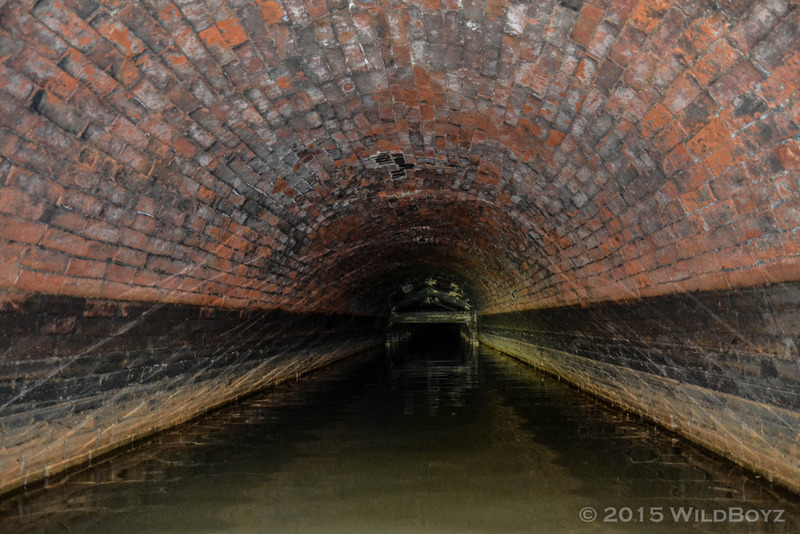 Haha, yeah it sort of feels like that when you go down these canal tunnels, lots of similar looking things. I liked the abandoned look to this one though, as opposed to the others we've done. You turned back before the interesting bits, get back in there and see what you missed. If you can let us know how we'd do that without getting wet, I'm game. Until then, we'll have to wait until the water goes down. The gap beneath the beam was impassible (if you wanted to stay dry) in its current state. Comparing your pics to mine the water level is the same, going past the section of low beams you can either limbo under them, or get out and go over them. Once past these the water goes shallower but there is approx 4 foot of ochre silt sat on top of 2 foot of water, but well worth the effort to get to the loading wharf where coal from the Carr Pit which opened in 1812 was loaded into narrow boats for it's journey out-bye..
Nah, I've been looking at yours. The gap was tiny in comparison. Not a chance we were getting under that without getting wet; we couldn't touch the floor. We tried getting out of the boat to no avail unfortunately. Going over seemed a bit dodgy like, the beams were a wee bit soft. Going to try a revisit maybe, I want to see what the eastern portal looks like too. Has the mighty Explorer Pro finally got some competition? Nice shots and yes it does look a wee bit dodgy in places. The trust has a lot of work ahead of them to restore that! Haha. Thanks Yes, I think they'd better start work asap if they have any hope of saving it! Fantastic architecture though, even if it is a bit crumbly in places. Hi my friend sent me a link for this post.